Landing pages used for targeted Adword and Facebook campaigns. 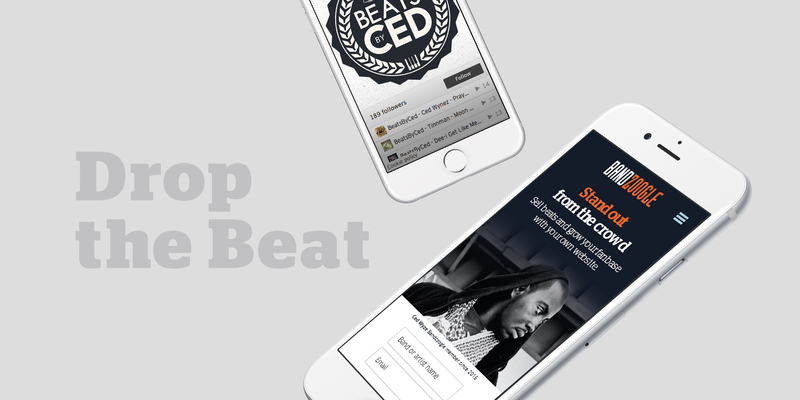 We collaborated with the Marketing team at Bandzoogle to create a stand-alone landing page UI for marketing to a beatmaker audience. Working with existing brand guidelines, the general concept behind the landing pages was to create content that connected specific groups of musicians with their specific needs and improve conversion rates through simple and superior user experience throughout the signup funnel.